The new Space Launch System (SLS) will be able to cope with a minimum of 13 scrubs – or cryo cycles – and remain happily at the launch pad for a minimum of 180 days, according to the latest technical overview document. This robust design approach will assist SLS in being able to deal with issues relating to either itself or its payload during the launch pad flow. 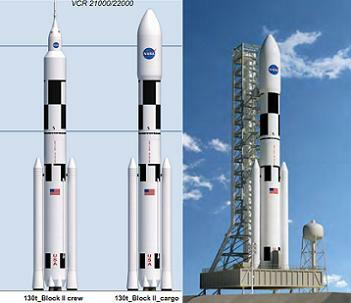 Development of the Heavy Lift Launch Vehicle (HLV) appears to be proceeding smoothly, with all schedule milestones – towards its debut in 2017 debut as part of the Exploration Mission -1 (EM-1) test flight – hitting their marks. While that should be expected, problems within the now-defunct Constellation Program (CxP) were being noted almost from the opening day of its development cycle – not least with the Ares I launch vehicle. The latest milestone to be passed was the opening phase of the combined System Requirements Review (SRR) and System Definition Review (SDR) – a milestone to allow engineers to further nail down the scope of the system design and evaluate the vehicle concept based on top-level program requirements. 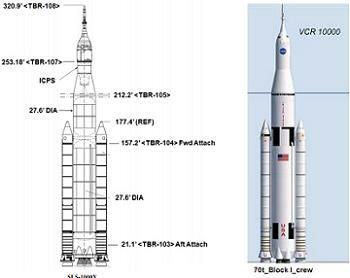 As noted by SLS teams, this stage of development confirms the OML (Outer Mold Line) of the vehicle – at least the Block 1 70mt version – meaning the “shape” of the SLS is now set to that depicted in the latest documentation. The milestone reviews are two in a series of life-cycle reviews advancing the vehicle from concept design to flight readiness. Step one included a focused technical review of the program requirements with information on cost, schedule and risk. Step two, which will begin in early summer, will include an integrated assessment of the technical and programmatic components fully evaluating cost, schedule and risk involved with the program. While SLS will be able to rollout and launch within seven days, according to its Concept Of Operations (Con Ops) Document (Available on L2 – Link), problems for any vehicle during the launch pad flow can be expected. Having a set of parameters for what the vehicle can cope with during a troublesome pad flow – not least during the countdown – is important for the controllers and managers in the Launch Control Center (LCC) that will eventually launch the monster rocket. 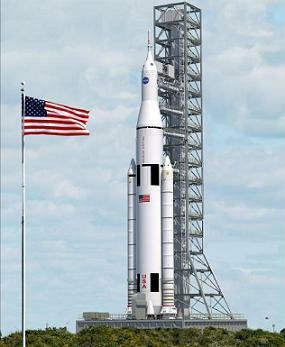 As such, SLS engineers have already provided a preliminary outline of SLS’ capabilities in the latest rev of the Space Launch System Program Launch Vehicle Specification document (Available on L2 – Link). In the order listed by the Specification document, SLS will have a capability of four hours hold time. How useful such an amount of time will be will depend on the mission, with specific targets – such as the International Space Station (ISS) – resulting in the Space Shuttle only having a short window of minutes – as opposed to hours – prior to having to scrub for the day. “Launch Countdown Hold: The SLS vehicle shall be capable of remaining in a countdown hold, in a stable, replenish mode, for at least 4 hours,” noted the document. “Rationale: Examples of drivers for this requirement include weather holds, range safety holds, etc. The SLS is a Shuttle Derived (SD) launch vehicle, and will sport a core stage developed from the technology of the Space Shuttle’s External Tank (ET). It is likely to be the commonality between the two “fuel tanks” that helped provide the rational for the Specifications document to cite the HLV will be capable of at least 13 cryo cycles. The large amount of cycles is important, not least when referring to some of the Space Shuttle’s recent history with weather and technical related scrubs. Recent non-weather related issues that have required several cryo cycles included the problems with the Engine Cut Off (ECO) sensors ahead of STS-122’s launch. However, it was the double whammy of the problem relating to the Ground Umbilical Carrier Plate (GUCP) leak and Stringer crack on Discovery’s ET-137 ahead of STS-133 that proved to be the last big challenge for the Space Shuttle Program (SSP). The problem arose on the morning of the November 5, 2010, when ET loading operations picked up on time and continued nominally, until the hydrogen vent valve in the ET was opened to allow boiled-off gaseous hydrogen to vent from the tank. 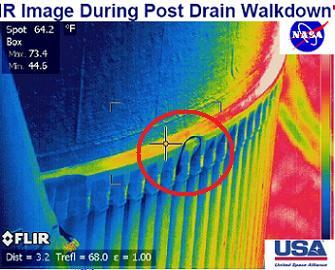 At this time, a leak indication was detected at the GUCP. 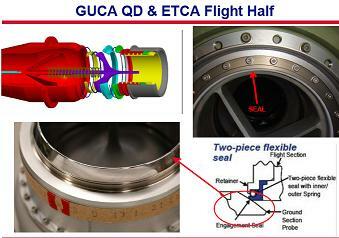 Initially, the launch team responded by cycling the vent valve in an attempt to reseat the GUCP/ET Carrier Assembly seal. However, the leak soon breached the 44,000ppm Launch Commit Criteria limit – spiking to at least 60,000ppm: the maximum reading on the sensors at the pad. While this incident caused the immediate scrub of STS-133’s launch attempt, a much more serious issue would present itself. During de-tanking operations, a stringer on the ET intertank structure snapped under cryogenic stress loads, thereby cracking and deforming the TPS foam on the external tank in the immediate area. With the leak of the GUCP and the crack to the ET foam, mission managers determined that Discovery would not be able to launch for what turned out to be several months. With the failed stringers replaced and a fix to the GUCP leak found, NASA managers elected to perform an instrumented Tanking Test on Discovery’s ET-137 in mid-December of that year. The test served two purposes: validate and verify GUCP leak resolution and monitor and determine stringer stress at the ET LOX/intertank flange area under both cryo and pressurized environments. With the tanking test complete, NASA managers pressed forward with plans to roll Discovery back to the VAB for a complete inspection of all stringers on ET-137′s intertank region. Discovery was rolled back on December 22/23 to the VAB where a complete inspection revealed three cracked stringers on the “backside” of the tank. 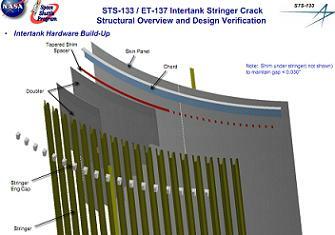 In January 2011, NASA engineers succeeded in determining root cause for the stringer crack issue – a bad batch of “mottled” stringer material. This information led to the decision to implement Radius block doubler installations on a vast majority of the stringers at the ET LOX/intertank flange. Completion of these modifications allowed NASA managers to set a NET launch date of February 24th for STS-133, which resulted in Discovery launching without issue. While the issues with ET-137 – and two other earlier tanks from the GUCP leak standpoint – are now understood and “closed”, the results will feed into SLS – which will also sport a GUCP on its core stage – another advantage of a Shuttle Derived system. However, should the SLS suffer from its own problems – weather related or technical – it will have the ability to be put through at least 13 cryo cycles, a healthy margin considering the Shuttle’s scrub history once the ET has completed tanking operations and is under cryogenic conditions. “Rationale: For the purposes of this requirement, a cryo plus pressure cycle is post-tanking of propellants and tank pressurization which puts the system in a launch-ready state,” added the Specifications document. The SLS will also be able to weather the ever-changeable conditions out on its seaside launch pad (39B) for at least half a year, a scenario also likely related to allowing engineers time to troubleshoot the stack without requiring rollback to the Vehicle Assembly Building (VAB). 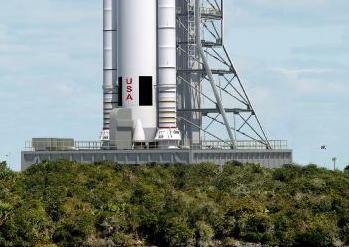 “The SLS vehicle shall withstand the natural environments at the launch pad for a minimum of 180 days from first exposure, excluding wind loading effects, which are covered by the vehicle coupled loads,” the document added. The document also noted that the vehicle – once stacked – can remain in its launch configuration for no less than 200 days. This specification aids the launch flow, especially during the multi-launch campaigns for deep space missions, allowing – for example – one SLS to be out at the pad, while another SLS is stacked and waits patiently inside the VAB. “The SLS vehicle shall be capable of remaining in a stacked configuration for a minimum of 200 calendar days without the need for vehicle destacking,” the presentation stated. 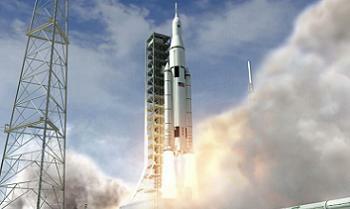 As noted in SLS documentation, the current spacing between SLS launches is 121 days. The low launch rate is understood to be budgetary related, although this has not been officially stated. 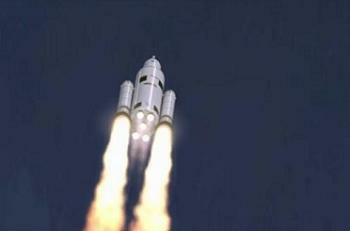 However, it has been claimed that SLS’ top of the range mass-to-orbit capability makes up for a large amount of this disadvantage, when compared to the fleet of medium lift launch vehicles it would require to achieve the same upmass ability, prior to taking the payload dimensions into account.